We're goofing off in the sandbox today, doing quick paint-sketches. 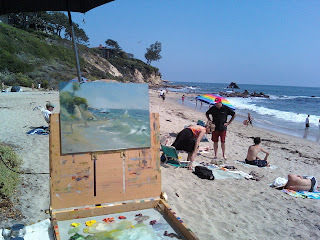 I do believe I have more sand in my paint, than there is on the beach. Someone asked for some sunblock. I was tempted to pass them my tube of titanium-zinc white.